Your St. Marys Hospital Campus DAHLC Location is OPEN! We hope you enjoy the brighter environment, new equipment, countertops, cabinets, TVs and music. If you have any comments to share, feel free to email us at dahlc@mayo.edu. Let's commit to our health by visiting DAHLC at least one more time a week through the end of 2015. 11/18/15 UPDATE - the majority of updates have been completed. Equipment is being placed and will be operational later today. Final clean-up will occur this evening and the facility will be operational tomorrow - 11/19/15. If you plan to workout overnight, please note that towel service will not be restored until the morning of the 19th...so bring a towel if you plan to shower up! Thank you for your patience during the updates to lighting, sound system, cabinets, countertops, TVs and more! During the shutdown, you will still be able to stop by and swipe your badge to record wellness activities and can access the hydromassage bed for relaxation. This would be a great time to try the Worksite Wellness St. Marys Walking Route or hop on the intercampus shuttle bus and check out all the new happenings at the downtown location. 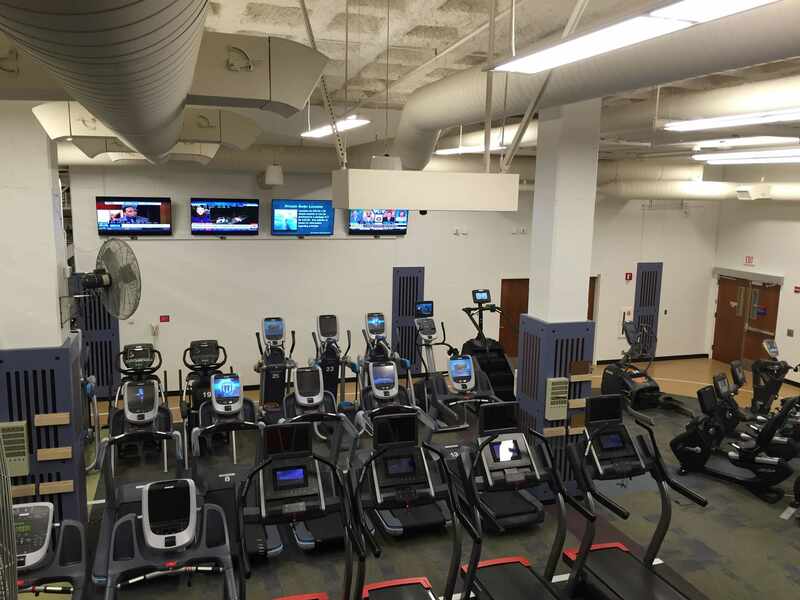 The downtown facility offers over 150 group fitness classes a week, 2 pools, various nutrition classes, massage therapy plus a friendly staff ready to greet you or answer your wellness questions! We also have a variety of workouts + energy burst videos on our website that might be of interest to you. **Don't forget the Million Visit Campaign! Working together, we can reach 1,000,000 visits in 2015! Commit to one extra visit per week - we can reach our goal and you can further improve your health. We hope that you'll find the updated facility to be energizing and inspiring to your wellness efforts. We're excited to share that the DAHLC facility at St. Marys Hospital Campus (Generose building) will be getting updated over the next few months! We will be working hard to make it a brighter atmosphere for you to get energized and continue your healthy lifestyle. We will be sure to update this post as more details and timelines unfold. You may notice temporary closures and equipment moves to accommodate construction personnel. During the updates, there will be temporary closures, but we will keep you informed on our website and Facebook. We are looking for your feedback as well, so please email us at dahlc@mayo.edu. More to come, but we appreciate your patience and we are looking forward to brightening up the facility for your use!